Front 242 gets unexpected 32-tracks tribute from their label Alfa Matrix – listen to the first exclusive previews! 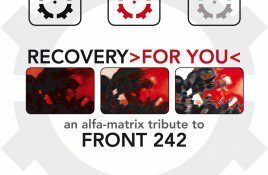 With “Recovery >for you<”, the Alfa Matrix label is closing this double-celebration year 2016 in beauty. For its 15th anniversary, the Belgian record label also.